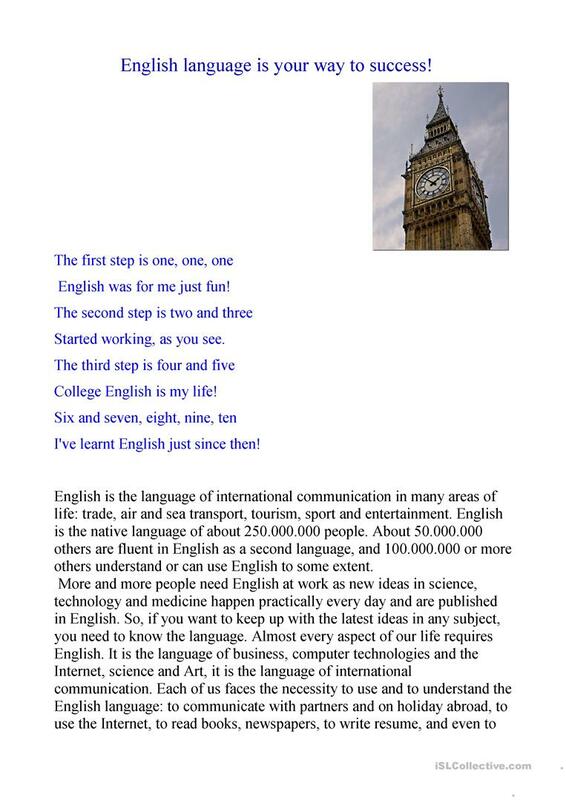 English Language is a Way to Success. The text can be used for reading comprehension, for developing skills of pronunciation, reading and speaking. 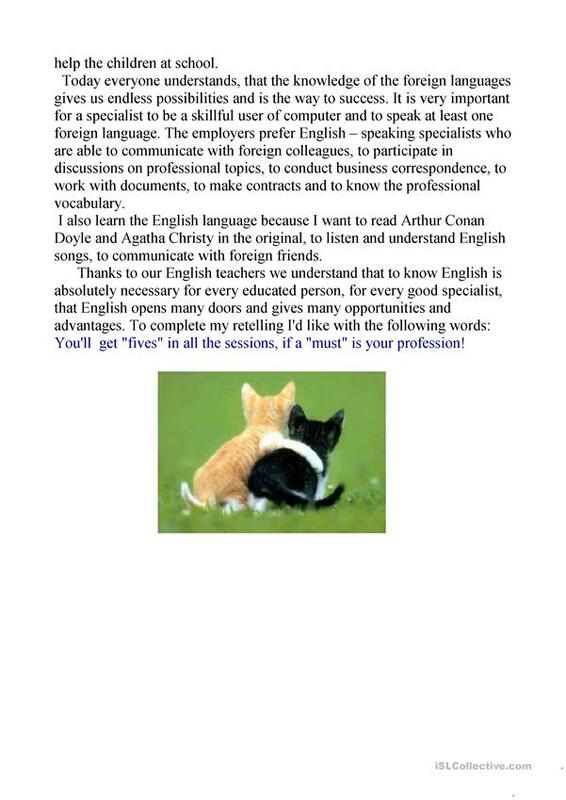 The students should be able to explain the importance of the English language in his/her future profession. The above downloadable worksheet was created for business/professional students, high school students and elementary school students at Elementary (A1), Pre-intermediate (A2), Intermediate (B1) and Upper-intermediate (B2) level. It is great for practising Passive voice or active voice in English, and is excellent for working on your students' Listening, Spelling, Speaking and Reading skills. It features the vocabulary topic of Language functions.